The depiction of fishing in art history-though a seemingly odd subject to focus on-denotes subtle social positions when contemplating the leisure activity. 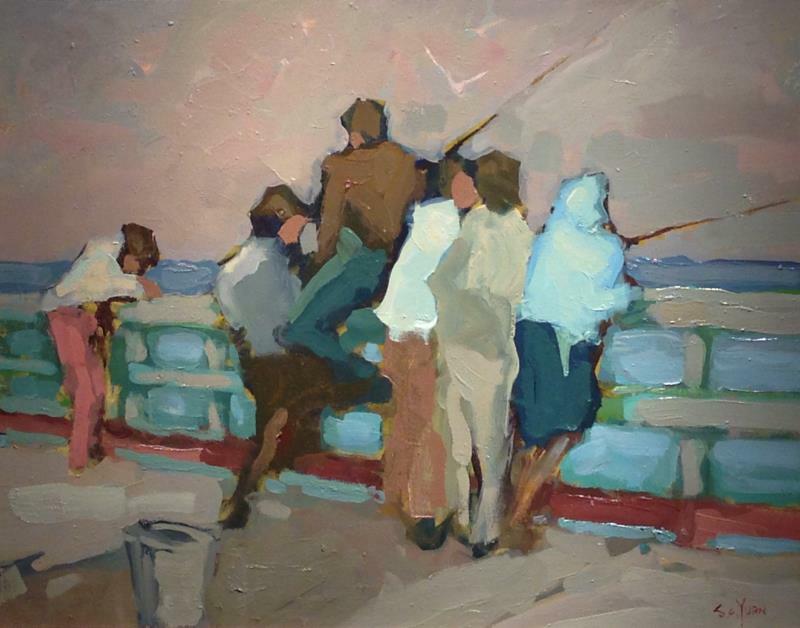 Barton S. Hays, Fishing, Oil on canvas, Eckert & Ross Fine Art. Click to inquire. The depiction of fishing in art history-though a seemingly odd subject to focus on-denotes subtle social positions when contemplating the leisure activity. Hunting and fishing scenes in early modern art, as popularized by the English and French, glamorized the pastimes of its privileged subjects. 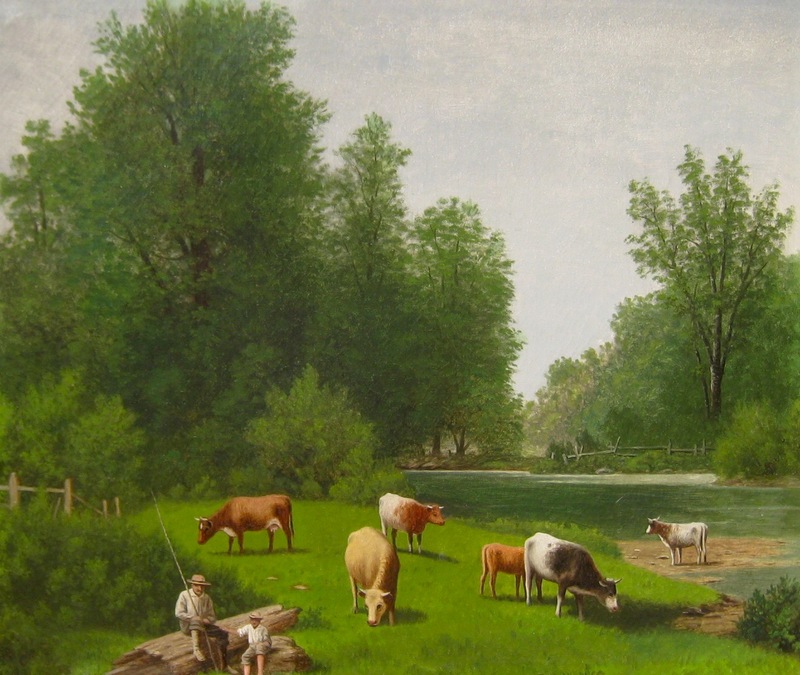 Idyllic fishing scenes in Rococo works appropriated pastoral imagery for the rich’s imagination. Often these scenes served the dual purpose of alluding to sexual pursuits-metaphors for their daily lives. S.C. Yuan, Fishing off the Wharf, Oil on canvas, Trotter Galleries. Click to inquire. 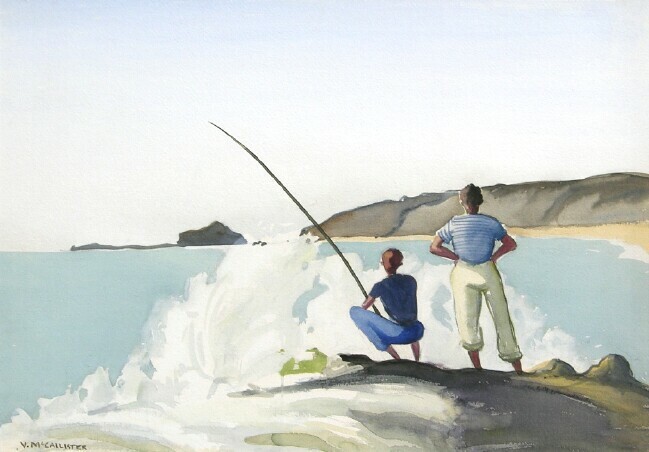 Virginia McCallister, Fishing Scene, Watercolor, George Stern Fine Arts. Click to inquire. However, when transferring hunting and fishing scenes to American waters, the connotations of these activities often invites images of the working class, the pastimes of localized communities. 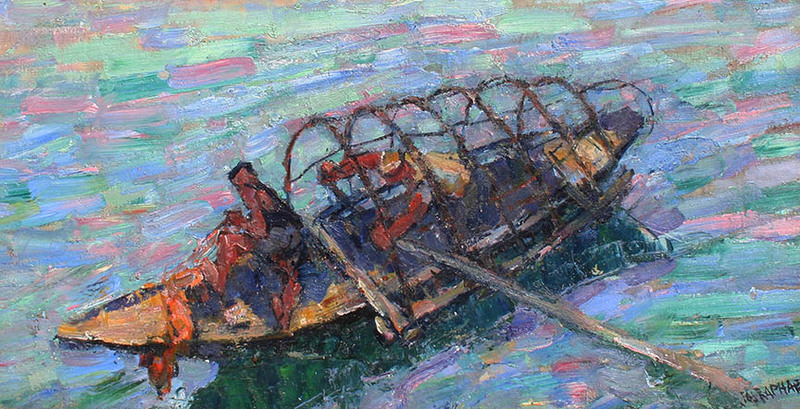 Joseph Raphael, Fishing Boat, Oil on canvas, William A. Karges Fine Art. Click to inquire. Many FADA galleries specialize in the art schools surrounding these areas. In these works, fishing scenes evoke a sense of comradeship, rather than distinguishing its sitter’s social class. 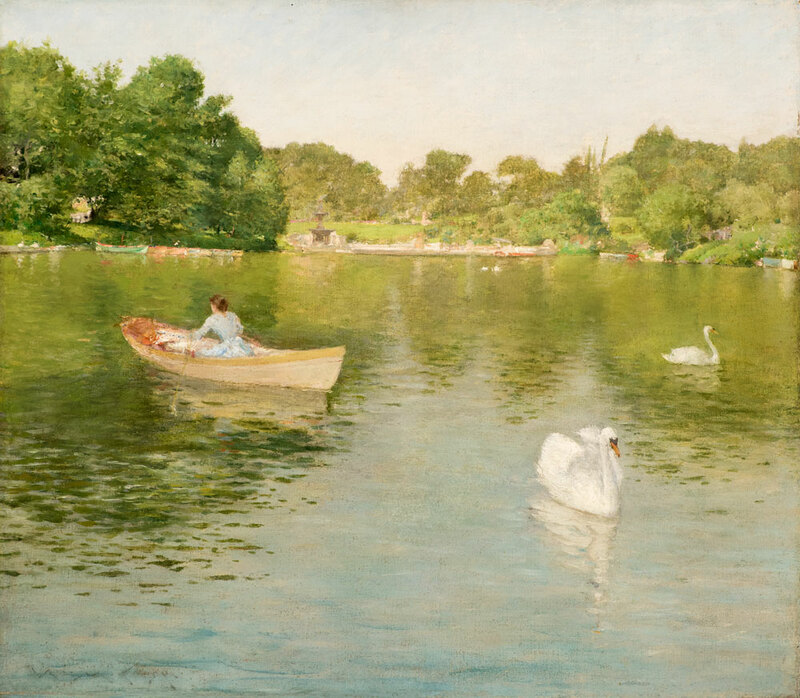 William Merritt Chase, On the Lake-Central Park, Oil on panel, Godel & Co. Fine Art. Click to inquire. Nonetheless, throughout both eras (and continents), pictorial depictions fishing offers viewers a sense of escape-and naivety. Especially in viewing works with a contemporary lens, they seemingly hold in place a lost time. 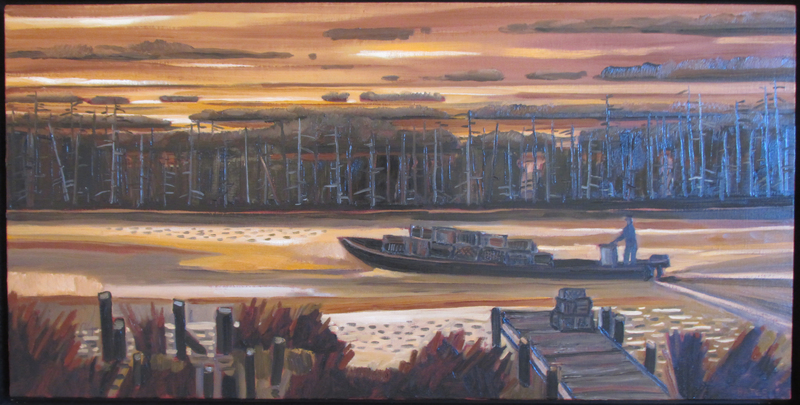 David Bates, Crab Fisherman, 2014, Oil on board, David Dike Fine Art. Click to inquire.